John Fuson: Health Care/Product Risk Management Lawyer: Washington, D.C.
John Fuson is a partner in the firm's Health Care, Product Risk Management (PRM), and White Collar and Regulatory Enforcement groups, focusing on U.S. Food and Drug Administration (FDA) enforcement and counseling matters. John’s FDA counseling is informed by his role as associate chief counsel at the FDA, prior to joining Crowell & Moring. In this position, he had broad law enforcement responsibilities, handling major enforcement actions brought by the agency, including seizure actions, injunction actions, actions for civil money penalties, and contempt actions. His cases involved drugs, devices, food, and veterinary drugs. Building on his FDA experience, John is able to offer clients invaluable perspective on FDA matters. He has an insider’s understanding of how the agency thinks, applying its public health focus to his client’s needs regarding product risks and benefits. John also understands the importance of having a strong, trusted relationship with the FDA, and he works with clients to help them develop that. He regularly counsels clients on their critical interactions with the agency, including advising on product approval strategies, reporting obligations, manufacturing practice compliance, labeling concerns, and product recalls. Clients also turn to John for help with answering agency inquiries, handling facility inspections, and responding to observations and warning letters. Building on his FDA experience, John works primarily with clients in the food, medical device and pharmaceutical industries. He also provides clients in the electronic nicotine delivery industry regulatory guidance related to the Family Smoking Prevention and Tobacco Control Act. Food Industry: John helps food industry clients navigate new obligations under the Food Safety Modernization Act, handle the burdens of preventive control inspections, evaluate safety risks, and manage product recalls. He also counsels clients on food labeling questions. In these matters, he considers not only the regulatory requirements, but also helps clients balance competitive marketing claims and the threat of false advertising litigation. Medical Device Manufacturers: John helps medical device manufacturers understand their pathways to market, particularly as FDA seeks to open access to new digital technologies. As they develop claims on labeling and other materials, John helps clients understand risk in competitive marketing environments, including safety concerns, reporting obligations, and Quality System Regulation compliance. Drug Manufacturers: John provides drug manufacturers on compliance and enforcement matters, focusing on FDA inspections, current good manufacturing practice (GMP) requirements, and data integrity responsibilities. When clients receive inspectional observations, warning letters, and other communications, he helps clients efficiently and effectively respond to agency concerns. Family Smoking Prevention and Tobacco Control Act: John counsels clients on emerging obligations under the Family Smoking Prevention and Tobacco Control Act, particularly as they relate to FDA’s attempts to balance concerns with electronic nicotine delivery systems and its desire to make tools available to help individuals quit smoking conventional cigarettes. Animal Food and Veterinary Drugs: While at FDA, John oversaw injunction actions against dairy farms for improper use of new animal drugs and failure to control medicated livestock, oversaw a mass seizure of adulterated pet food from a dirty warehouse, and worked with agency experts to develop an enforcement strategy against distributors of unlawfully compounded new animal drugs. Today, he advises clients on a range of product labeling, content, and manufacturing issues. John was born in Ohio and grew up in Southern California. He received his B.A. from Grinnell College in Iowa and received his J.D. from the University of Pennsylvania Law School. After law school, he clerked for Judge Marsha S. Berzon on the U.S. Court of Appeals for the Ninth Circuit and now lives with his family in Washington, D.C.
"Management Oversight and Control: How to Ensure Compliance and Limit Liability," Enforcement, Litigation, and Compliance Conference: For the Drug, Device, Food, and Tobacco Industries, Washington, D.C. (December 7, 2017). Panelist: John Fuson. "FDA Inspection and Enforcement Trends," ABA Section of Litigation Food & Supplements Seventh Annual Workshop, Hershey, PA (June 13, 2017). Panelist: John Fuson. "New & Evolving IP Changes Impacting the Landscape," Maximizing the Value of Intellectual Property and Strategic Collaborations, Rockville, MD (February 7, 2017). Presenters: John Fuson and Terry Rea. "Under the Watchful Eye of the FDA: What Do FDA Warning Letters Tell Us?" Third Annual ABA Life Sciences Legal Summit, San Francisco, CA (September 21, 2016). Presenter: John Fuson. 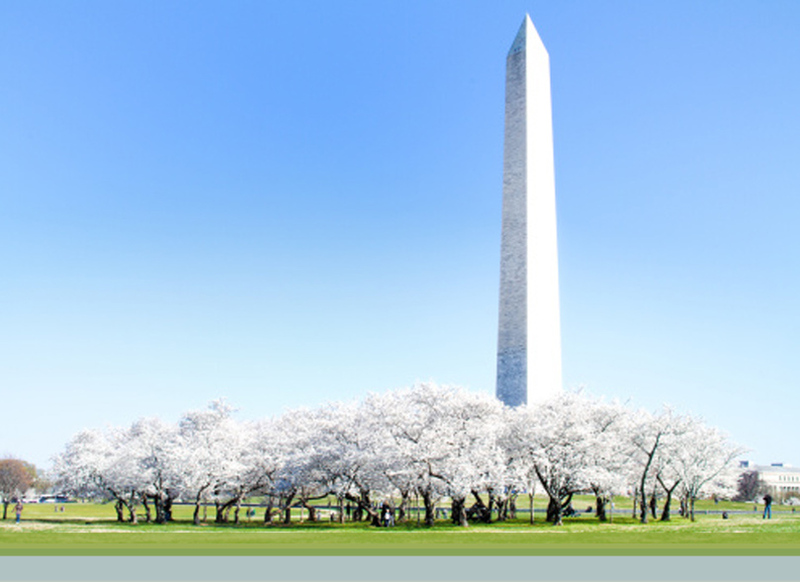 "UDI Update," FDLI - Hot Topics in Medical Device Law, Washington, D.C. (March 31, 2016). Presenter: John Fuson. "Food & Beverage Industry: What Will 2016 Bring?" Webinar (February 10, 2016). Presenters: John Fuson, Michelle Gillette, Andrew Kaplan, and Chalana N. Williams. "Regulatory Considerations in the Medical Device Litigation Discovery Process," Exponent Webinar (November 12, 2013). Presenter: John Fuson. "How Internal Policies & Practices Can Prevent - or Fuel - a Crisis: Managing a Product Recall Crisis," Crowell & Moring Advertising Product Risk Management Seminar (March 19, 2013). Moderator: Laura Jastrem Walther; Panelists: Daniel T. Campbell, John Fuson, and Steve Edwards (Stericycle). "Failure Analysis, Product Recalls, and Liability Preventative Measures to Help Prevent the FDA from Knocking on Your Door," Exponent and Crowell & Moring, Menlo Park, CA (January 29, 2013). Presenters: Kevin C. Mayer and John Fuson. "FDA Issues New Guidance for the Management of Cybersecurity in Medical Devices," Crowell & Moring's Health Law Blog (October 19, 2018). Authors: Jodi G. Daniel, John Fuson, Brandon C. Ge and Amber Mulcare. "The Devil is in the Details: Recordkeeping a Central Focus in FSMA Inspections," Crowell & Moring's Retail & Consumer Products Law Observer (May 9, 2017). Authors: John Fuson and Chalana N. Williams. "The Long and Winding Road for BIOSIMILARS: Charting a Pathway through Patent, FDA, Antitrust, Prescription Filling, Reimbursement and Liability Law," Bloomberg BNA Pharmaceutical Law & Industry Report (September 18, 2015). Authors: Chiemi Suzuki, Deborah H. Yellin, Barbara H. Ryland, Lauren B. Patterson, and John Fuson. "Sunscreen Innovation Act Paves Way for New OTC Sunscreen Ingredients U.S. Market Approval," Crowell & Moring's Health Law Blog (February 24, 2015). Authors: John Fuson and Monica M. Welt. "Don't Mistake FDA's Peanut Prosecution As Setting The Bar," Law360 (April 2, 2013). Co-Authors: Ann Mason Rigby and John Fuson. "More FDA Detention Slips For Food Cos." Law360 (March 6, 2013). Co-Authors: John Fuson and Michael L. Kuppersmith. "Frankenfood Fight: Why Mandatory Labeling of GMO Foods is Unnecessary and Unwise," Pesticide & Chemical Policy Week in Review (October 26, 2012). Co-Authors: John Fuson and Warren Lehrenbaum.